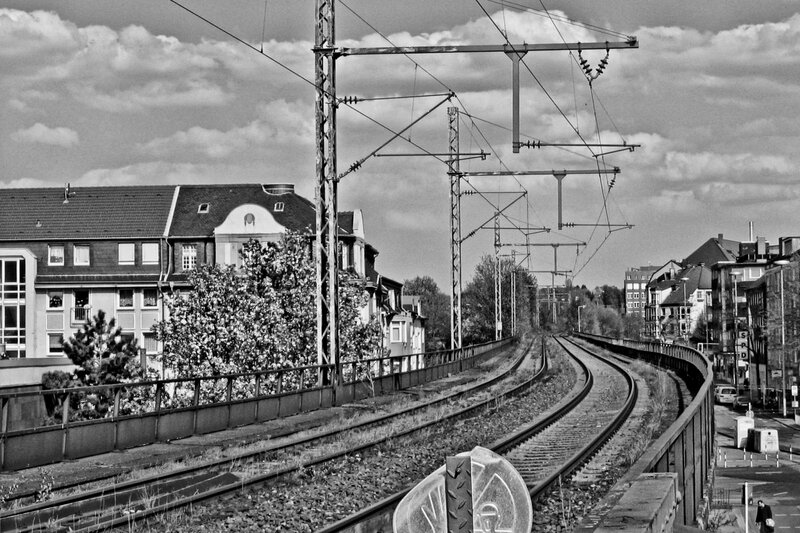 This is not strictly Mülheim’s old railway bridge itself, but the view east in direction of the central railway station from the top of the pedestrian stairway. The rails and overhead wires on this raised embankment have been removed since I took this photo in 2004, but the path it cuts through the inner city is still distinctly visible. I wonder if the city will ever get around to make it into pedestrian path, because walking along it would provide completely new photo opportunities!